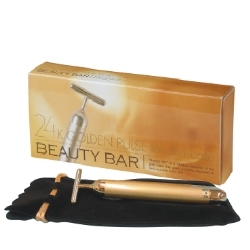 The head of the Beauty Bar, an electric-powered beauty implement, features a 24K pure gold finish. 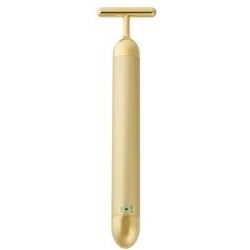 It oscillates at a gentle 6,000 RPM, the perfect amount for facials and hand care. Now you can achieve vital and lush skin. Furthermore, it’s fully waterproof, so you can use it while relaxing in the bath.